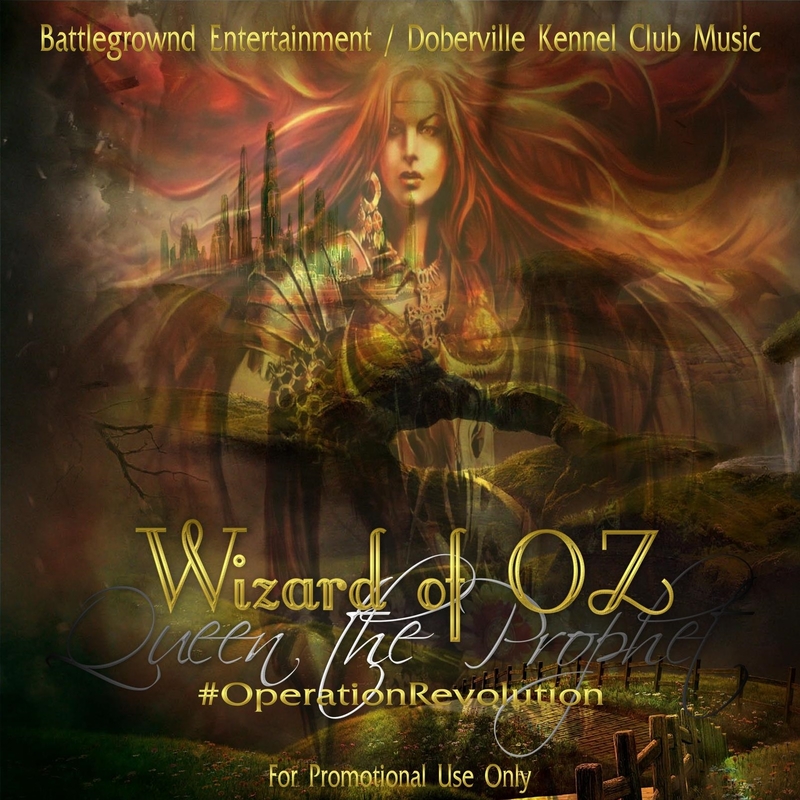 “Wizard of Oz” is the first promotional solo-single from Queentheprophet (Battlegrownd Entertainment/ Doberville Kennel Club Music) as well as the first exclusive leak off the Doberman Gang “Loyalty is Everything, Vol. 1” promotional mix tape (December, 2013). “Loyalty is Everything, Vol. 1” is one of many projects being released by Battlegrownd Entertainment #OPERATIONREVOLUTION 2013 “Hip-Hop Apocalypse” campaign. Queentheprophet will be releasing her debut solo project “Rise of the Phoenix” Summer, 2013. Various uTube clips were used to provide samples. THIS TRACK IS NOT FOR INDIVIDUAL SALE. PROMOTIONAL USE ONLY. DOBERMAN GANG “Loyalty is Everything, Volume 1” will feature music from George Yung, Verbal Kent, Grand Giovanni, Queentheprophet, BigHeights, Speci tha Wolf, Young Pyro, Coke Kev, & more. “7th Trumpet 26 Project” 1/14/13-12/14/13 Grand Giovanni, QueentheProphet ft/ various artists through out the 26 versions available via iTunes & Amazon. Posted on April 2, 2013, in The Gospel of Q, The HipHop Dungeon, UNDERGROUND NEWS and tagged 427, DBG, DOBER MAN GANG, exclusive, George Yung, New Music, qtp, queentheprophet, release, soundcloud, Wizard of Oz. Bookmark the permalink. Leave a comment.